The Flood Watch for portions of southern Indiana and all of central Kentucky has been cancelled. 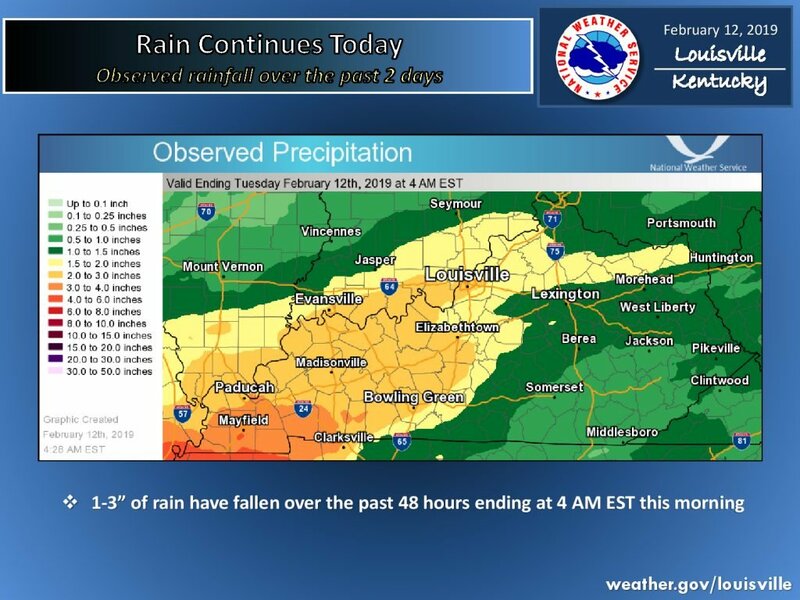 Event rainfall totals along and north of a Bowling Green to Lexington line generally ran from 1.5 inches up to around 4 inches…with a lot falling in the Ohio River basin. This rainfall will keep area rivers and creeks swollen for at least the next couple of days. 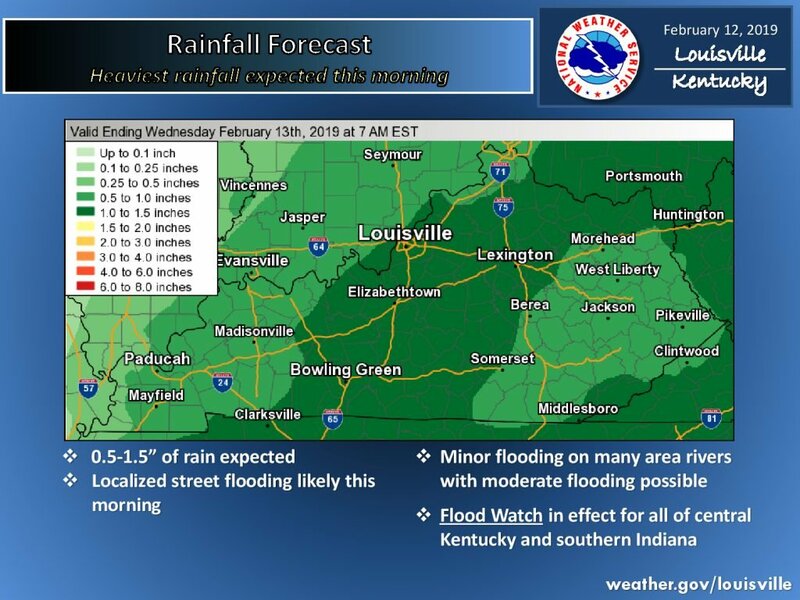 Moderate to heavy rainfall is expected to continue across Lexington this morning before tapering off this afternoon. 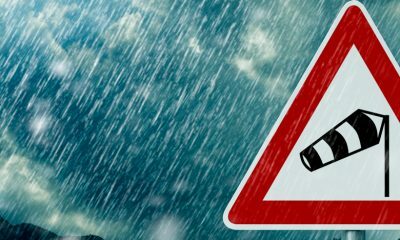 One to two inches of additional rainfall is expected. This will simply allow river flooding and localized flash flooding to continue. A flood watch remains in effect for the outlook area through 1 PM EST. A strong cold front will push through the region today bringing an end to the heavy rainfall. However, surface winds will become very gusty this afternoon and tonight. 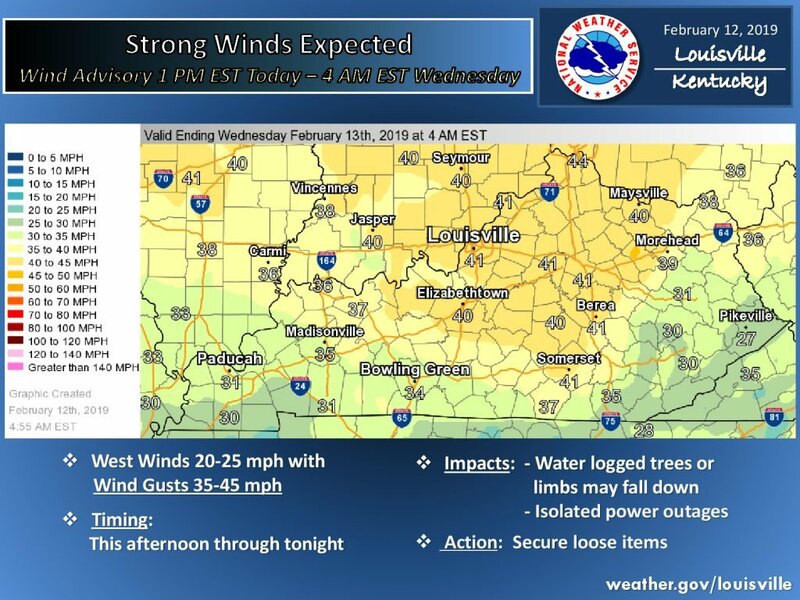 Sustained winds of 15 to 25 MPH with gusts of 35-40 MPH will be possible. The combination of wet ground and the gusty winds may result in weakly rooted trees falling over. A wind advisory for areas north of the Cumberland Parkway is in effect from 1 PM EST through 4 AM Tuesday morning. Note: There is a chance of snow for tomorrow morning during the drive time commute. 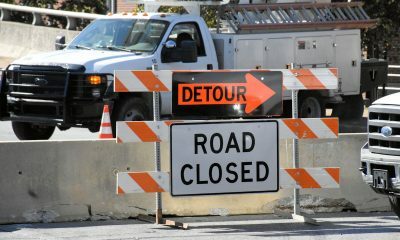 River flooding is expected to continue for the remainder of the week. There is a chance for more precipitation in the Friday night and Saturday time frame. Some of this precipitation may be in the form of rain and snow. Stay tuned to forecasts over the coming days for more information on the weekend system. Here’s the National Weather Service Forecast. Here are the current temperature and wind conditions.